Christine Blasey Ford would testify next week to the Senate about her accusation that Supreme Court nominee Brett Kavanaugh sexually assaulted her when both were high school students — but only under certain conditions, her attorney said. 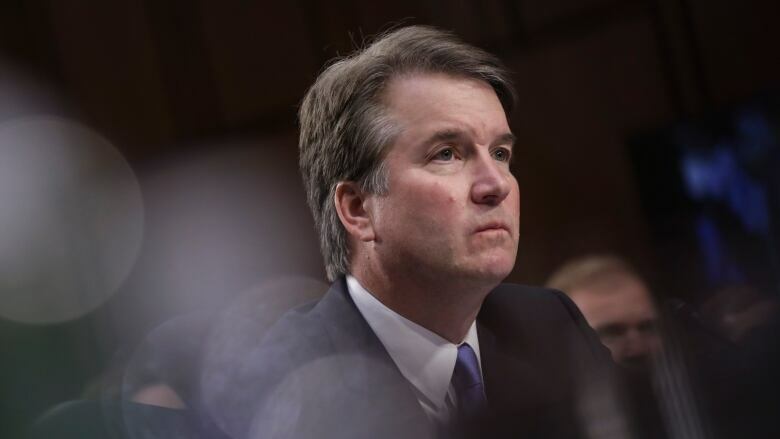 Christine Blasey Ford may personally testify against U.S. Supreme Court nominee Brett Kavanaugh after all, her attorney said Thursday, breathing new life into the prospect of a dramatic Senate showdown next week over Ford's accusation that he assaulted her when both were in high school. Ford will tell her story to the Judiciary Committee, whose senators will vote on Kavanaugh's confirmation — but only if agreement can be reached on "terms that are fair and which ensure her safety," the attorney said. A Senate aide said Ford's lawyer told the Judiciary Committee she prefers to testify next Thursday and doesn't want Kavanaugh in the room. Attorney Debra Katz outlined five points during a call late Thursday with committee staff ahead of Ford's possible appearance. The aide was unauthorized to discuss the matter and spoke on condition of anonymity. Ford and Kavanaugh were invited to appear Monday about her allegation that he sexually assaulted her when they were teens. Kavanaugh has denied the allegation. The attorney raised questions about security that staff said would be provided by Capitol Police. Press access for the testimony would be similar to during Kavanaugh's confirmation hearing. She also wants the committee to subpoena Mark Judge, who Ford has said was present for the alleged assaulted. 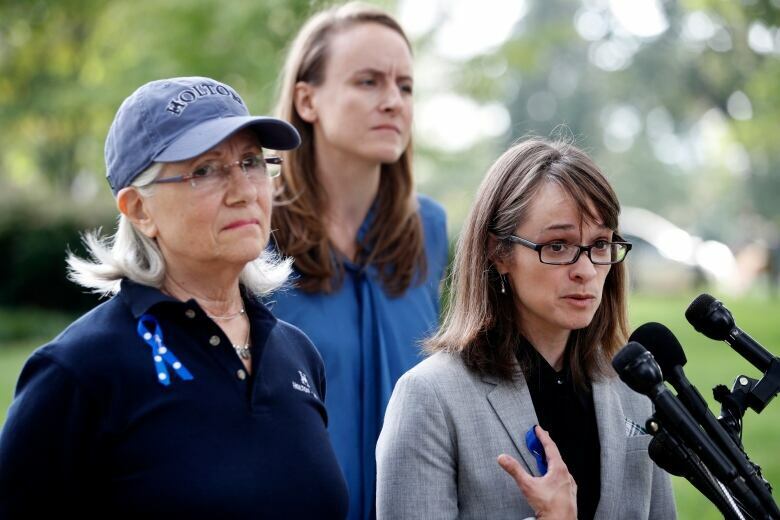 Katz said anew that Ford, 51, a psychology professor in California, has received death threats and for safety reasons has relocated her family. "She wishes to testify, provided that we can agree on terms that are fair and which ensure her safety," Katz wrote in an email, which was obtained by The Associated Press after first being reported by The New York Times. Republicans are anxious to move ahead to a vote by he committee, where they hold an 11-10 majority, and then by the full Senate, which they control, 51-49. Taylor Foy, spokesman for Republicans on the panel, made no commitment but said in a written statement, "We are happy that Dr. Ford's attorneys are now engaging with the Committee." Should Ford testify, especially in public, it would pit the words of two distinguished professionals against each other as television close-ups capture every emotion. Assessing them would be not just the committee's 21 senators — of whom only four are women, all Democrats — but millions of viewing voters. Underscoring the sensitivity of all-male Republican senators grilling a woman who's alleged abuse, Republicans are considering reaching out to female attorneys who might question Ford, according to a person who spoke only on condition of anonymity. Grassley previously said that in the interest of making Ford comfortable, he'd be willing to let Ford testify in public or private. He even offered to send committee aides to her California home to take testimony. Women who attended Ford's high school have delivered a letter in support of her to senators. Organizers say more than 1,000 women from the school signed the letter. The women say they believe Ford, calling her accusation "all too consistent with stories we heard and lived," while going to the Holton-Arms School in Bethesda, Md. Some personally delivered copies of the letter to Sen. Shelley Moore Capito, a West Virginia Republican who also graduated from Holton-Arms. Alumna Alexis Goldstein says word of the letter spread through social media and personal networks. She describes Ford as courageous.